THERE could only be one choice for a Bhoy raised in the tradition of Celtic and immersed in the history of a remarkable club. When Pat Quinn was reflecting on a name for the supporters’ club in a city on Sakhalin Island, in the far east of Russia, he decided it could only be: If Yuzhno the History. Yuzhno, the administrative centre of a vast and lucrative oil and gas industry, is where Pat plies his trade as a quality manager in the energy business. The lad from Kilwinning has worked all over the world but his heart and mind is never far from Paradise. “We meet on a Sunday afternoon in a local bar,” he says of the Yuzhno crew. “We call it the The Four O’Clock Gang. Sunday is our only day off and it is a regular event to meet and talk about Celtic. The club offers everything from a gallus tie to a stylish carriage clock, badges, polo shirts and tea mugs. The money helps charities on Sakhalin Island, particularly those with an emphasis on supporting children. Now the If Yuzhno the History Celtic Supporters’ Club is linking itself to the very core of the club’s tradition. 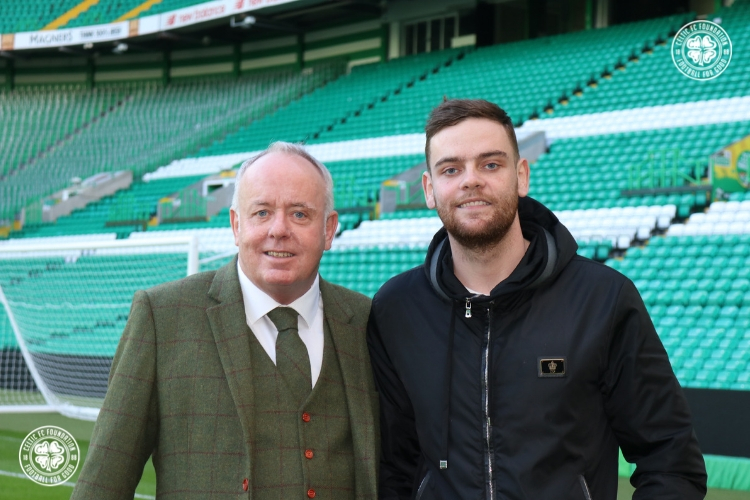 Celtic, of course, was set up to provide food to the hungry and the supporters’ club has enthusiastically signed up for the 67 Kitchens initiative, run by Celtic FC Foundation in conjunction with Mary’s Meals, that feeds more than 40,000 children every day. The name of If Yuzhno the History CSC will now be proudly displayed on the façade of a school kitchen in Zambia. The legacy of 1967 has special meaning for Pat. “My Dad ran buses from Kilwinning and I joined him on them and on other supporters’ buses down the years. I am 59 so I’m spoiled as a Celtic fan as I was brought up watching great players. The Yuzhno Bhoys know their history. Alongside the If Yuzhno the History CSC, Celtic FC Foundation are honoured to work with many supporters’ clubs around the world in supporting the 67 Kitchens initiative across the regions of Malawi and Zambia. A very limited number of school kitchens remain available for sponsorship. For more information on the project, please contact cfcfoundation@celticfc.co.uk / 0141 551 4321 or tweet us @FoundationCSC.